Gerda was nominated for the MG ALBA SCOTS TRAD AWARDS in the Scots Singer of the Year category. The Lasses, O. by Janet Paisley. 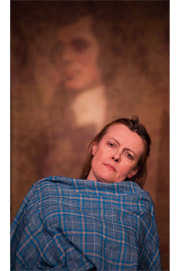 "...so passionately inventive and well-made, that on Saturday night in Melrose, some of the audience were moved to a standing ovation...a new perspective on Burns...a passionate and beautifully pitched performance from Gerda Stevenson. John Bett's production, is one of the most subtly feminist shows I've seen in a while; one in which the desire, creativity, nurturing energy and tradition-bearing power of women take a memorable leading role, even as they celebrate the life and song of a rare man who, instead of fearing the sensual power of women, matched it with his own, allowing it to soar free." Joyce McMillan, The Scotsman, April, 2009. 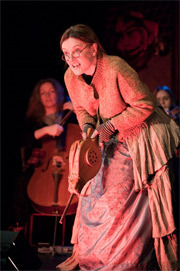 "The Lasses, O - skilfully written, subtly directed by John Bett for the Rowan Tree company, performed with terrific commitment and no little virtuosity by Gerda Stevenson, and accompanied by three young (and female, naturally) musicians, is about as neat a small-scale show about Burns as you could ask for - original, amusing...thoughtful and celebratory." The Times, March 2009..
"Oh, the Lasses were a hit! Gerda Stevenson played all four women in a magisterial performance – her Scots perfect, her evocation of Janet Paisley's characters precise and immediate. The musicians, Seylan Baxter, Lillias Kinsman-Blake and Rachel Newton, were themselves an integral part of the stories, their exciting music and singing like a Greek chorus. The audience was spellbound." 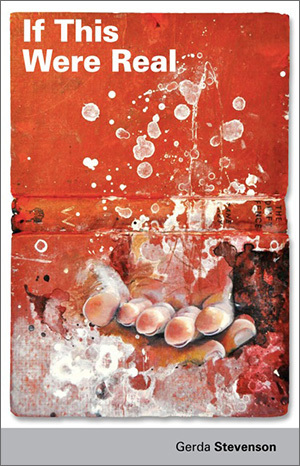 The Southern Reporter, April, 2009. Gerda Stevenson, actor/ writer/ director/singer-songwriter, trained at R.A.D.A., London, winning the Vanbrugh Award. She has worked on stage, television, radio and film throughout Britain and abroad. 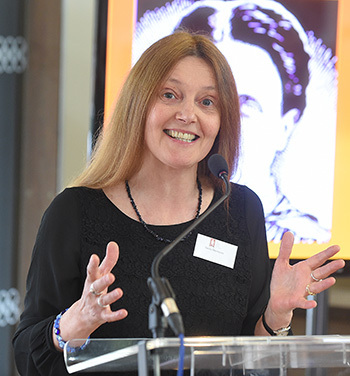 In 2014, she was nominated as one the Saltire Society’s OUTSTANDING WOMEN OF SCOTLAND. From the Stevenson family of musicians (her father the composer/pianist Ronald, sister composer/harper Savourna, and niece composer/fiddler Anna-Wendy), Gerda is known for her singing in many theatre productions. She was nominated in 2014 for the MG ALBA TRAD MUSIC AWARDS, in the SCOTS SINGER OF THE YEAR category. 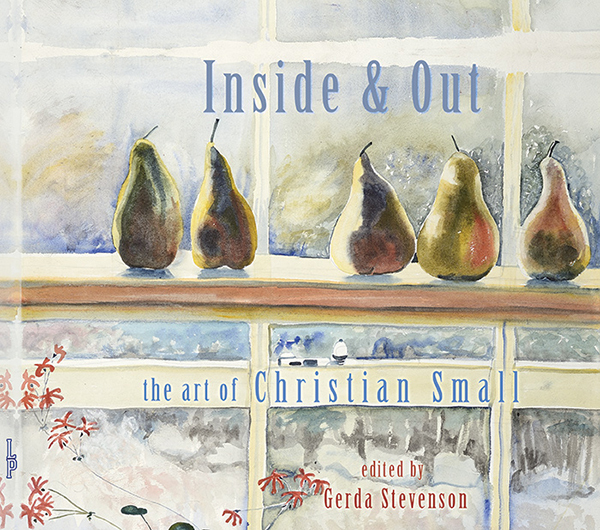 With support from Creative Scotland, a highly acclaimed CD of her own songs, NIGHT TOUCHES DAY, was released in 2014 (Gean Records, produced by Mattie Foulds), her vocals accompanied by an array of fine Scottish musicians: James Ross, Konrad Wiszniewski, Inge Thompson, Seylan Baxter, Rob MacNeacail, and Norwegian multi-instrumentalist Kyrre Slind. 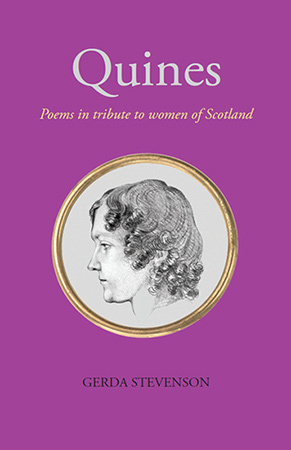 QUINES - poems in tribute to women of Scotland, published by Luath Press, 8th March, 2018, International Women's Day. She is one of the MADGE WILDFIRE trio,with Patsy Seddon and Kathy Stewart. 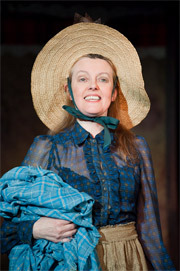 In 2011, Gerda was nominated by the League of Professional Theatre Women (New York) for the Gilder/Coigney International Award. Her many film and TV appearances include BRAVEHEART, MIDSOMER MURDERS, HEARTBEAT, THE BILL, and TAGGART. She received a BAFTA Scotland Best Film Actress Award for her performance in Margaret Tait’s feature film BLUE BLACK PERMANENT, and has been nominated twice for the Critics’ Awards for Theatre in Scotland. Founder of Stellar Quines, Scotland’s leading women’s theatre company, and Associate Artist of Communicado, she’s also a trustee of the Scottish International Education Trust, and a Scots Language Ambassador for Education Scotland. 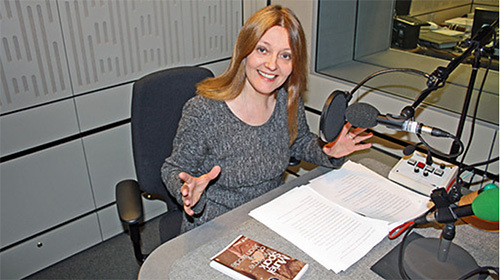 Gerda at BBC Broadcasting House, London, recording The Prime of Miss Jean Brodie, for BBC Radio 4, Book at Bedtime, 2013. She has written extensively for radio and is regularly heard in BBC Radio 4’s popular PAUL TEMPLE MYSTERIES, playing Steve, feisty wife of the eponymous hero. She performed in, and directed her stage play FEDERER VERSUS MURRAY (published by prestigious American literary magazine SALMAGUNDI), touring the production toNew York in 2012, as part ofthe Scottish Government’s NYC SCOTLAND WEEK celebrations. She is a visiting lecturer at Glasgow University, where her writing is studied as part of the Contemporary Scottish Literature course.